Oliver is one of the best Pinguicula grower I have the chance to know. 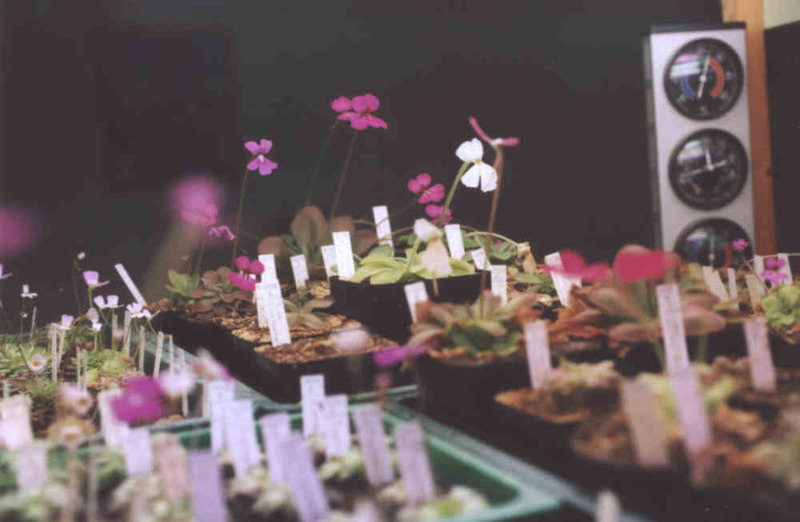 We share the same passion for Pinguicula. He lives in Germany. Before 2004 : Oliver used to live near Munich in Germany. 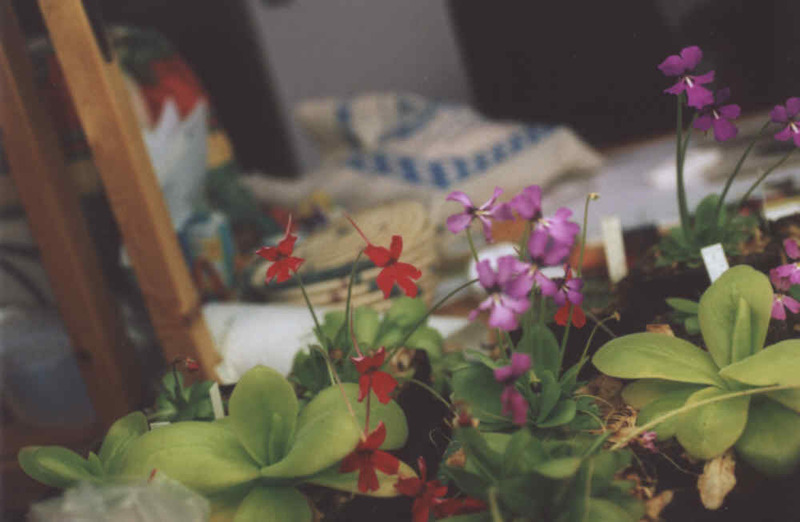 He was growing his Pinguicula as depicted below. 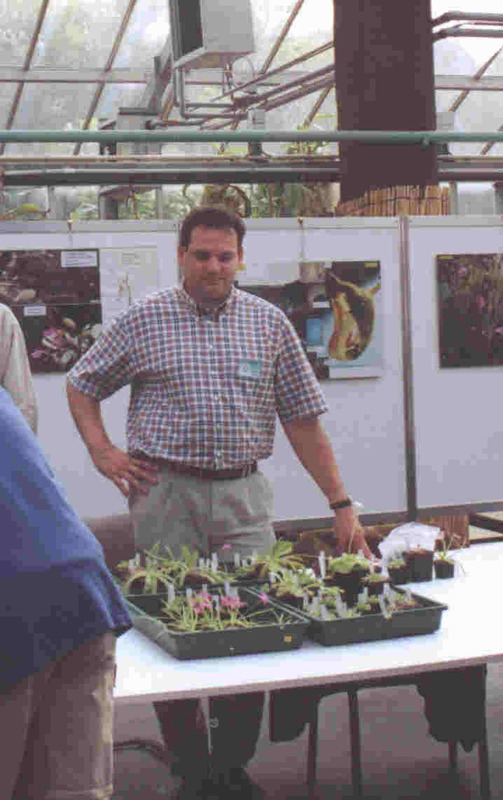 In 2004, he moved to Harthausen and bought a greenhouse to offer a larger place to his plants. Here is a picture of his new greenhouse. 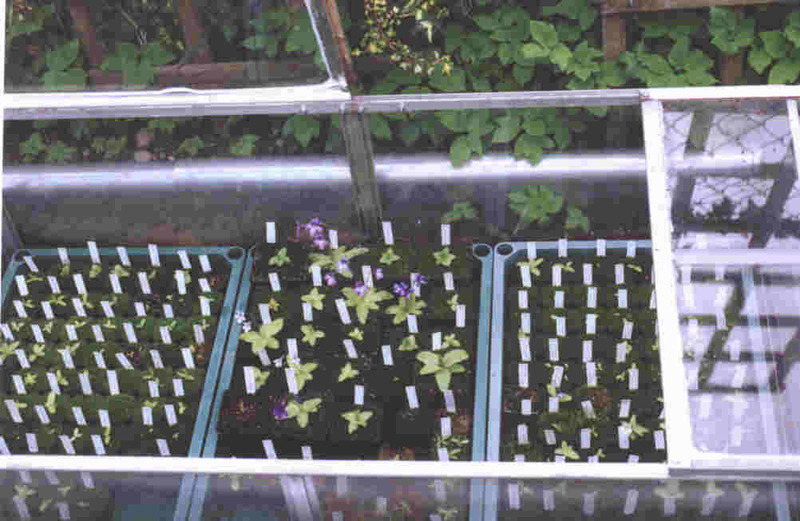 Oliver's new greenhouse in 2004. There are no doubts that it will be full of Pinguicula in the next months. 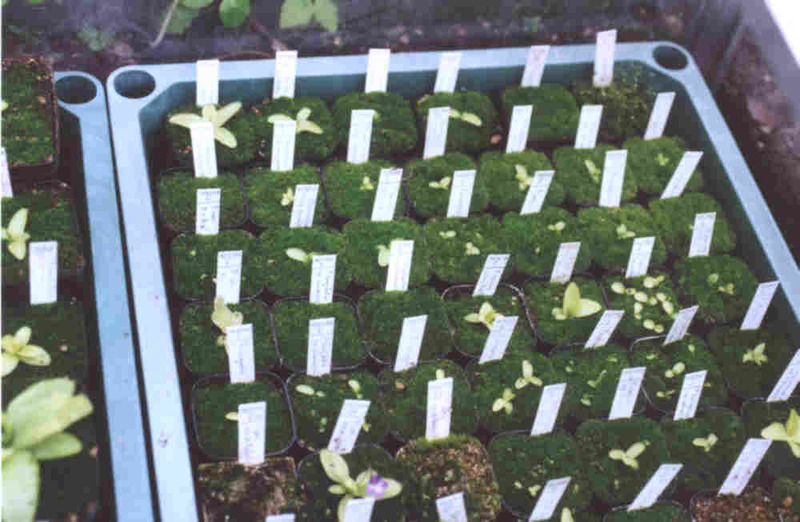 Oliver grows his temperate Pinguicula in a cold frame in his garden. 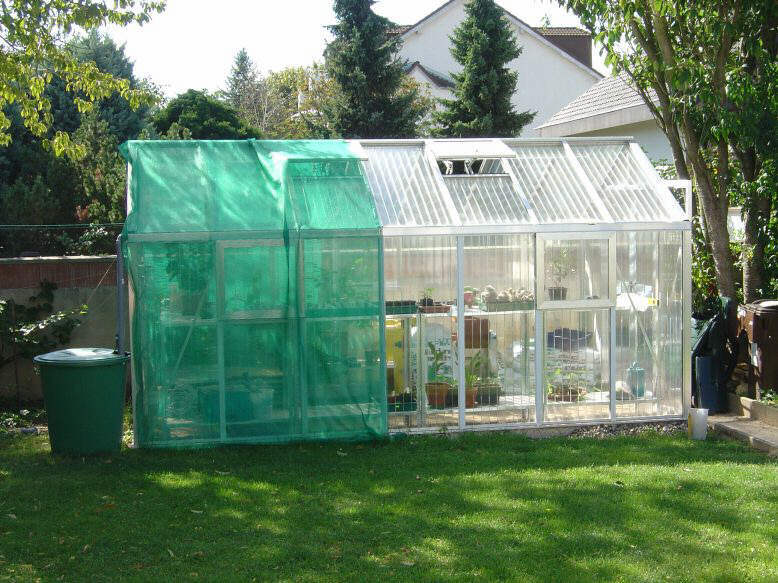 The frame is protected with a cover during hot summer days to prevent excessive temperature inside the frame when the sun is shinning. Even the hardest plants to grow are successfuly grown inside. Here for exemple, Pinguicula alpina. The only problems of Oliver are snails, slugs and no place for a second frame ! All the plants are happy to grow and flower a lot ! 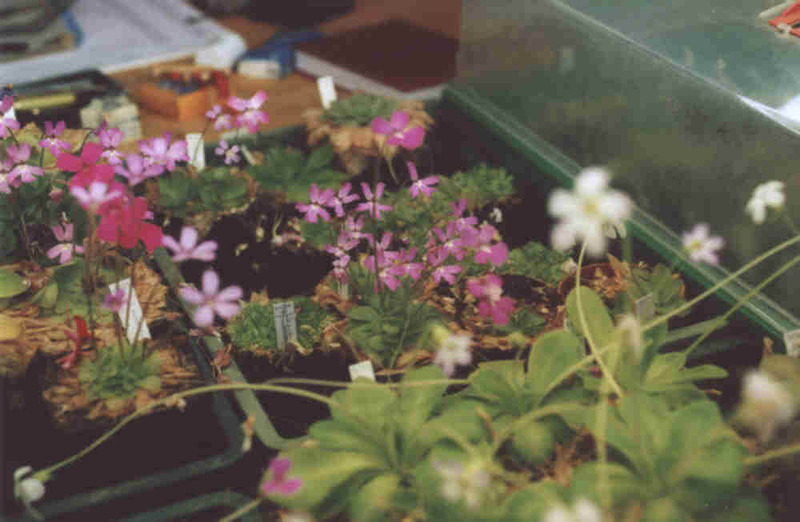 I have seen inside this frame Pinguicula ramosa flowering (not on the picture). 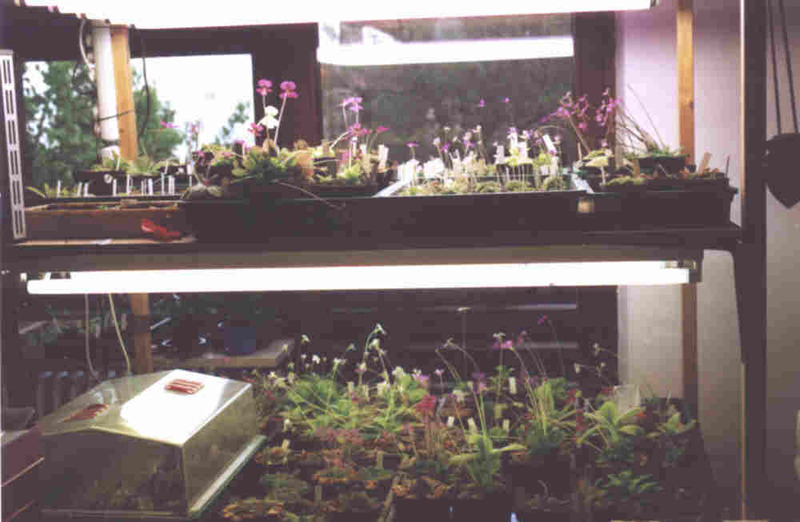 Oliver's Mexican Pinguicula collection is installed in his room in front of a large window. There is direct sun in the morning and he uses artificial lights. As you can see, all are healthy and flowering abundantly. 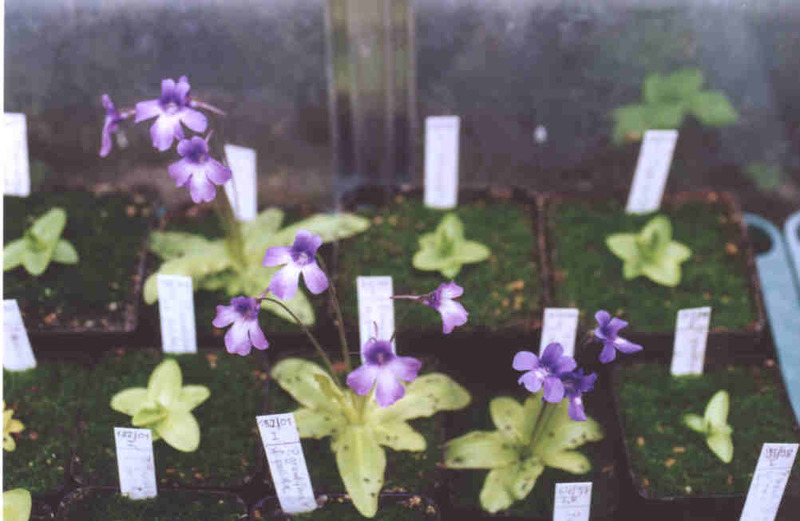 Pinguicula agnata. 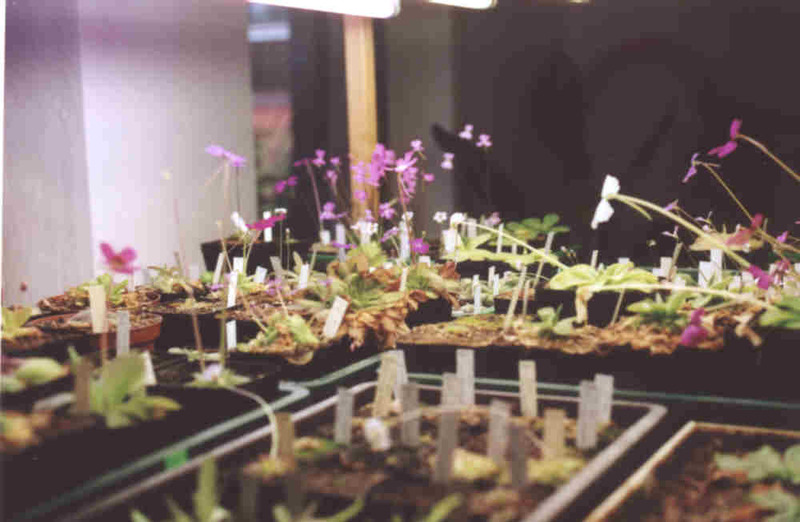 You can see Pinguicula moctezumae at the bottom of the picture. 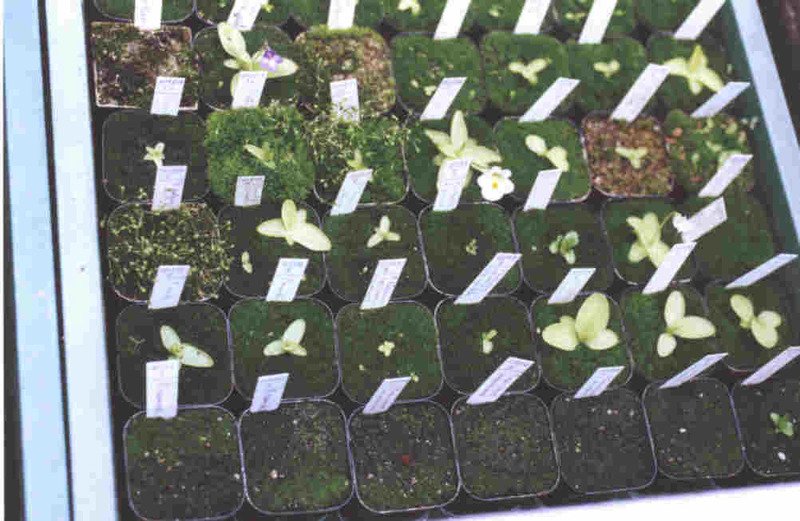 Pinguicula hemiepiphytica on your left and Pinguicula elhersiae on far right. Pinguicula gigantea on your left (and right too). 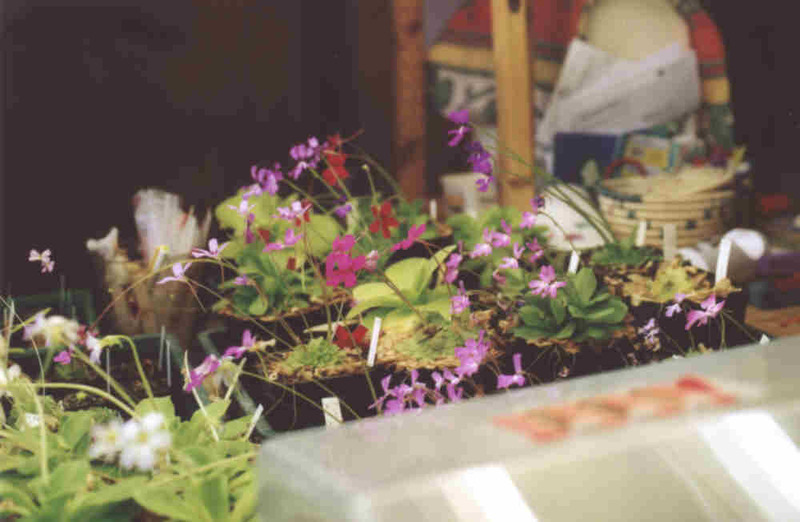 You can't miss in the center the red flowers of Pinguicula laueana. 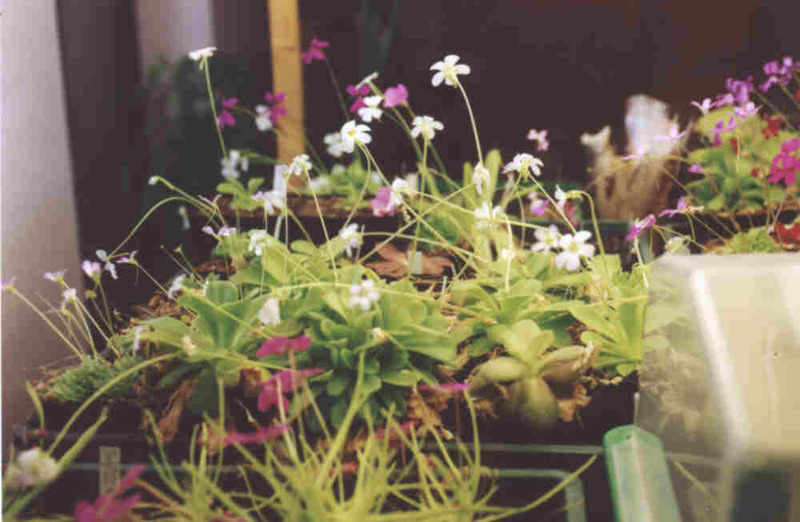 Here is why Mexican Pinguicula are so famous : for their flowers !